The earliest images of the Motion Picture were dominated by scenes composed in the mind of the Cinematographer. From the beginnings in the Black Maria, to the first efforts to move the camera out of doors, the role of the Cameraman evolved quickly from just recording whatever activity and movement they saw, to beginning to provide composition and structure to these earliest productions. Usually working from a very generic outline of what they were to capture on the screen, in most cases they were truly left to their own devices. 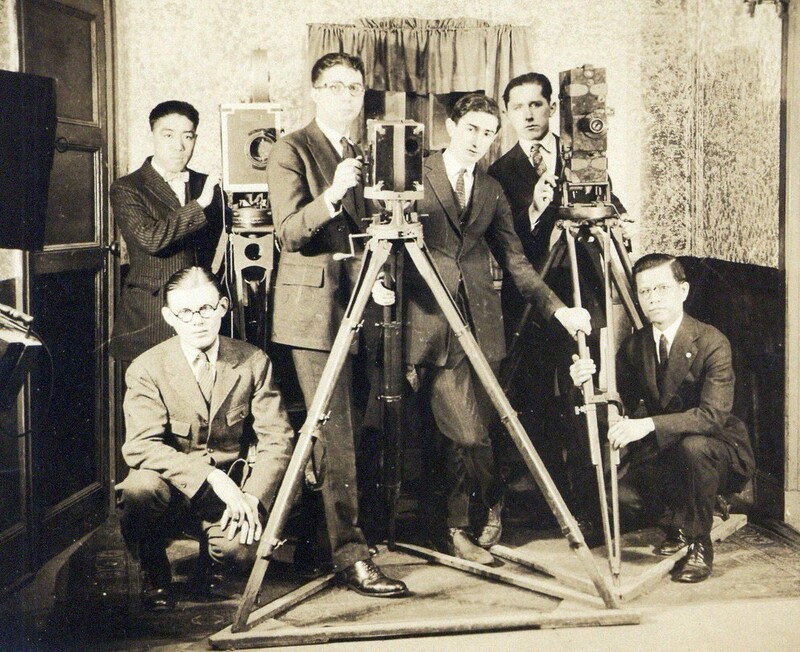 While this would change over time with the maturation of the Industry, during the Infancy of the Moving Picture, the cameraman performed multiple tasks, from shooting, editing, directing and processing the film he was expected to be a jack of all trades. Soon the Director and Producer would begin to influence the look of Productions, but one thing did not change, the reliance on the craftsmen who were tasked with capturing these images. The rapid developments in the Productions values for Motion Pictures lives on as a testament to the creativity and fortitude of this group of pioneers. As we are well aware, the percentage of surviving productions from the Silent Era is indeed disconcerting. What is also in its own way just as disconcerting is the fact that in the earliest days of Cinema History in many cases the film itself survives, its the knowledge of who shot it that has escaped us. These Pioneers should be not only remembered, but celebrated for their accomplishments, for in their own way the contributions they made are as important as any made in Motion Picture History. As we look at some of the Men (and women) who blazed the Celluloid trail we can’t help but be impressed with the level of proficiency they quickly attained with this conglomeration of gears, shutters, and lenses. Biograph Cameraman aboard the S.S. Anita 1898 Filming Scenes of Spanish American War. In the posts that follow some of the names will be familiar to you. Billy Bitzer and W.K.L. Dickson are well known in the Annals of Motion Picture History, However many others are lost to time, and others tend to be identified as just a footnote in history. Truly these are some of the most unsung pioneers of the Motion Picture Industry. Just stumbled across this blog while doing some research on early exhibition in Hawaii. Who is the author? Charles “Buckey Grimm” (which is me), a lot of the material is culled from various sources I have used in other research. I can provide info to you if you are interested.